One of the most loved pets, the cats, can stay with you all the time making you feel happy by doing some innocent and fun acts! But after a long time play session with you, they will demand a cozy and comfortable resting space where no one will disturb them! 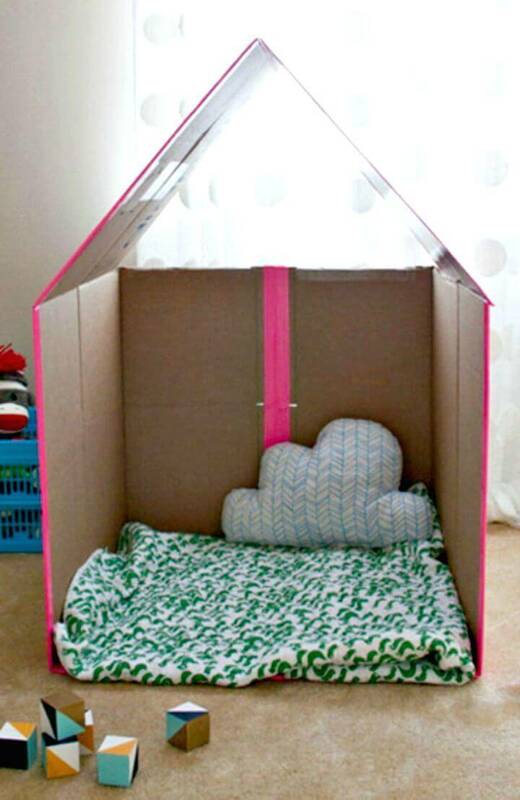 So, a separate resting space or place is often provided to cats and dog by providing the special pet houses which may also come with a cozy pet bed installed inside! 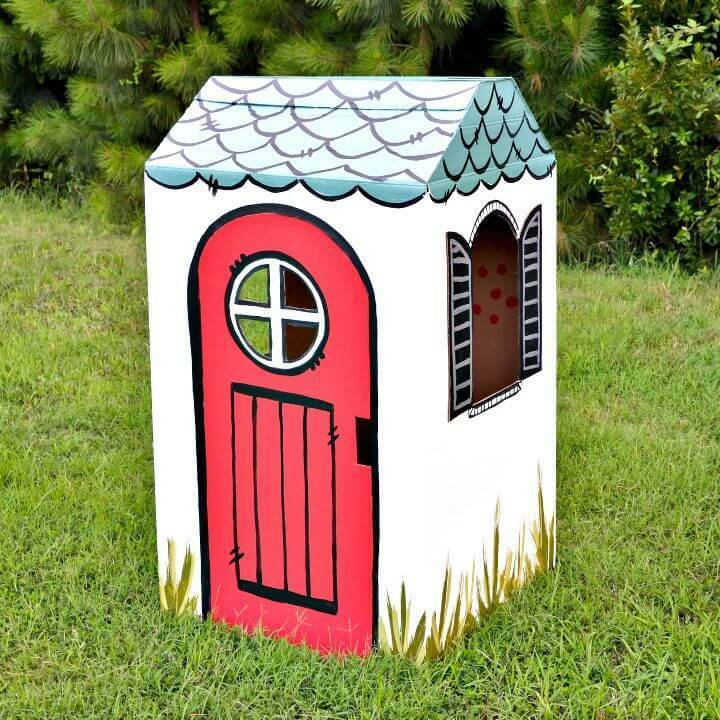 So, if you are on a mission to bring a lot of comfort to your cat, then you should consider getting a cat house for her! 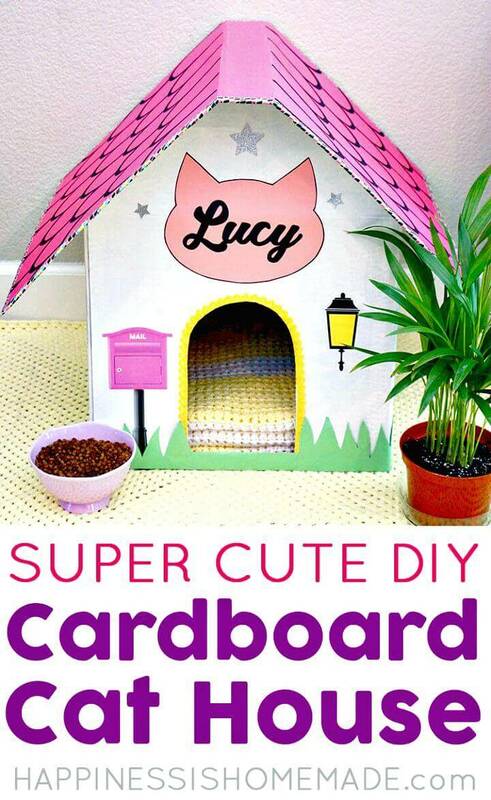 If you just can’t withstand with the high prices of the cat houses that you will buy from the market, then you can easily make a fantastic one at home without causing any load on your wallet! 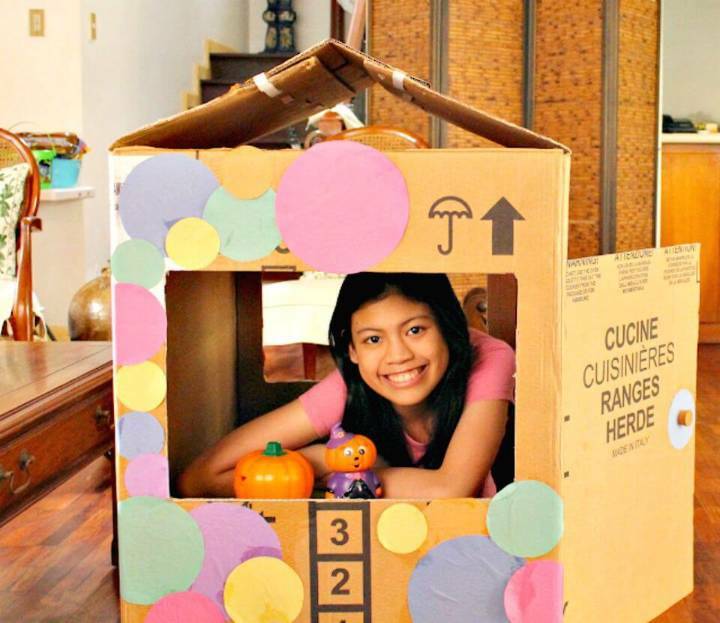 Here you will also learn that how you can plan the cardboard boxes for also making the larger playhouses and fun stations for little kids! 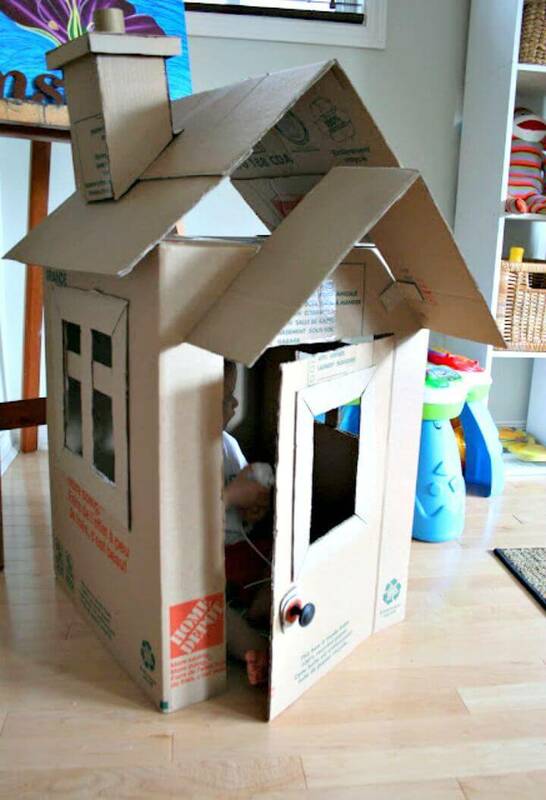 You will be profoundly amazed to see that you can build super beautiful looking and multi-featured houses also with the cardboard boxes that you may be having in dozens in your home trash store! 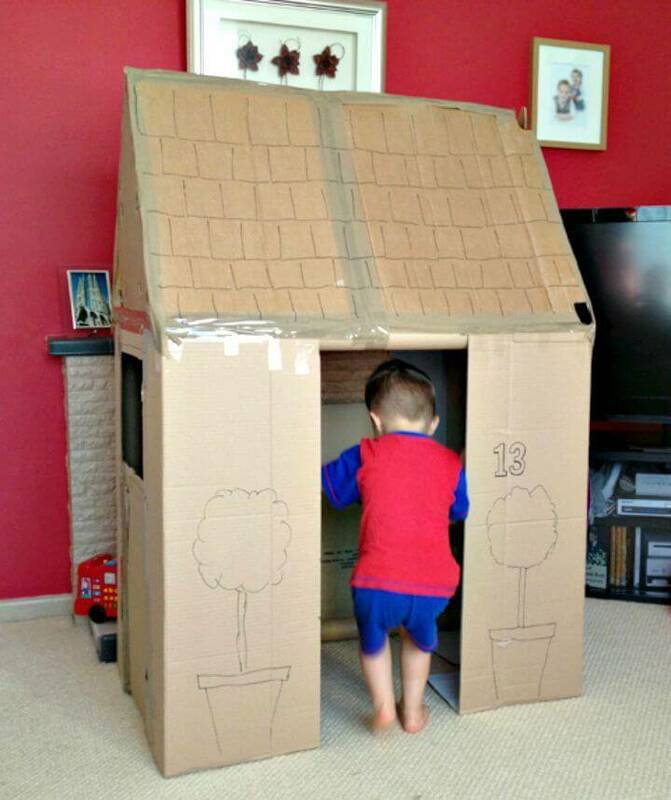 You can make the outstanding kids playhouses houses with so many different materials like with wood but building them with cardboard boxes would be super budget-friendly! 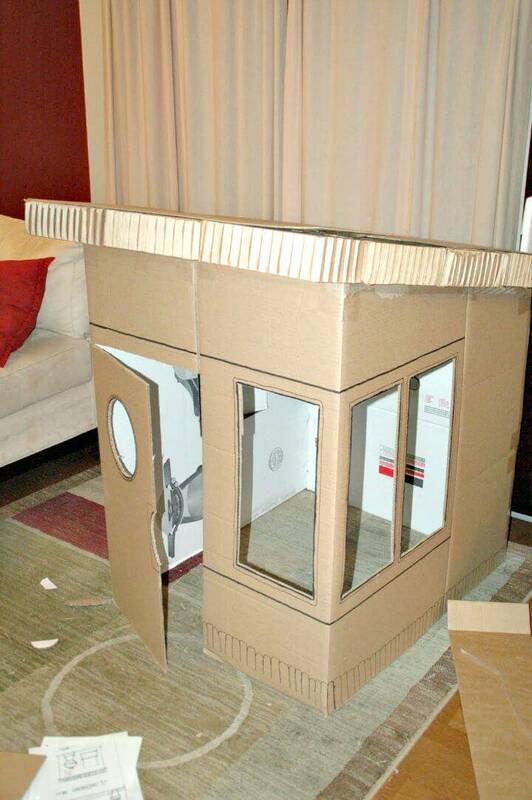 So, willing to make a perfect fun or playhouse design at home like a pro using cardboard boxes? 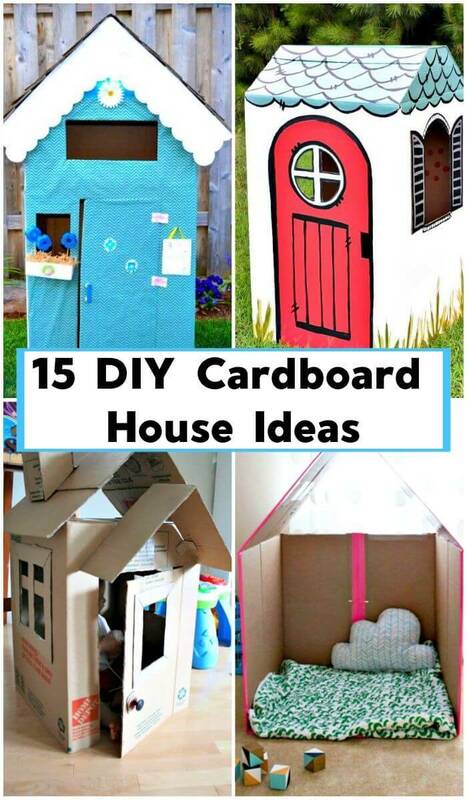 Then just have a look at these DIY Cardboard House Ideas that will make you a big fan when you see the fantastic creativity involved in creating and composing these cat house designs! 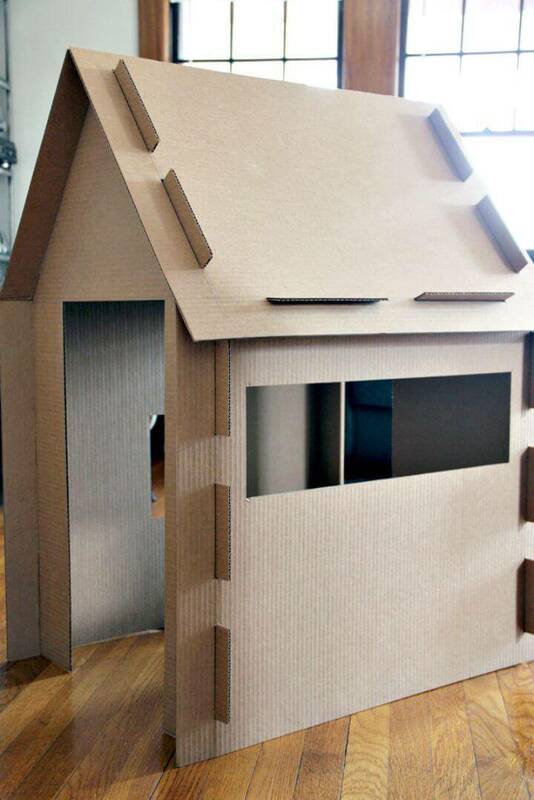 Just grab the bigger cardboard boxes from home, think of a unique bungalow style house design, next go with a craft knife to cut the windows and doors out of it to make a fabulous pet or kids playhouse design in just no time! 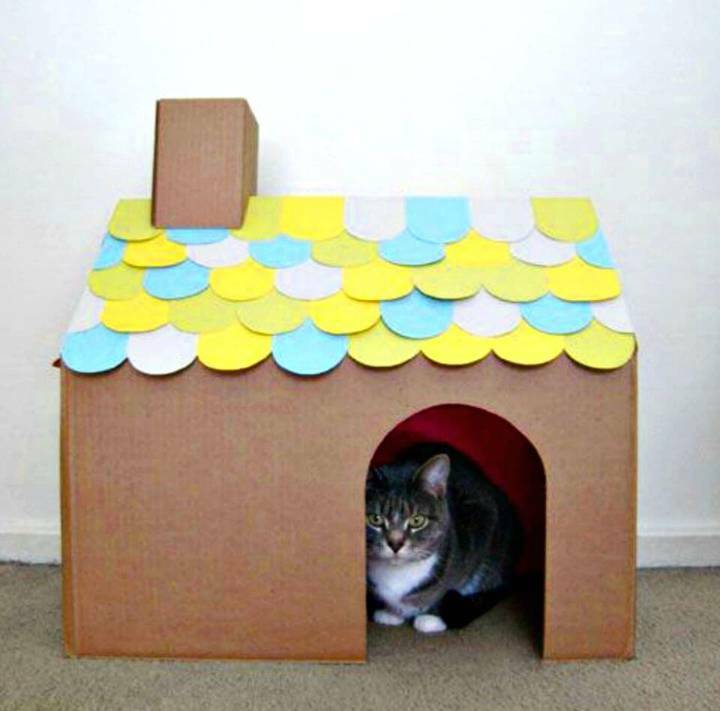 Make the simple bungalow style cardboard cat house design at home with the chevron roofs that will make a great gift for your cat! 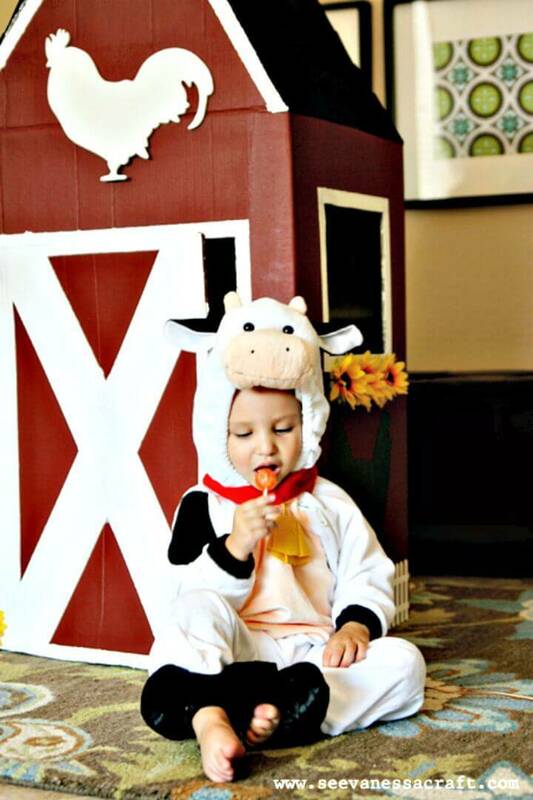 Peek into details of the given sample design that has been painted beautifully and is looking great! 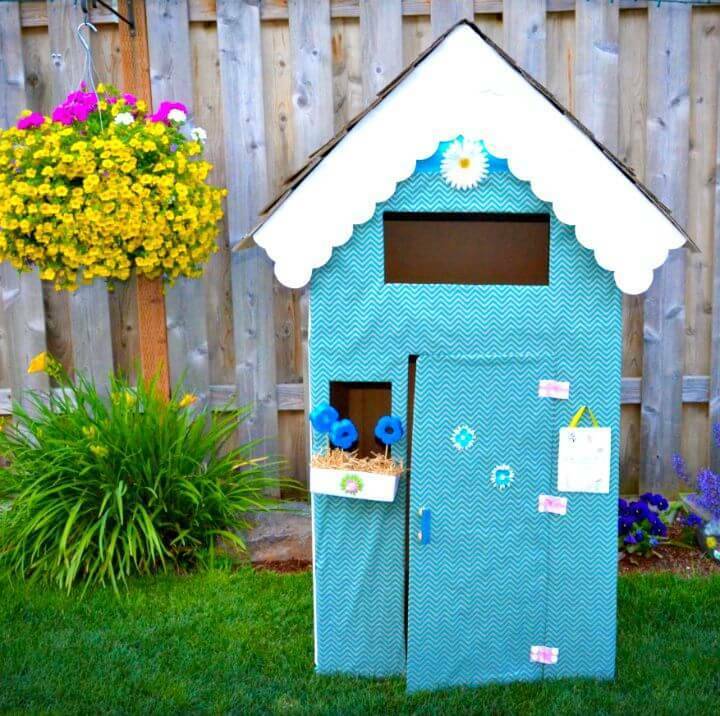 Make a cardboard playhouse and also decorate it with ribbon, scrapbook paper, button and with other lots of embellishments for an enticing appeal! 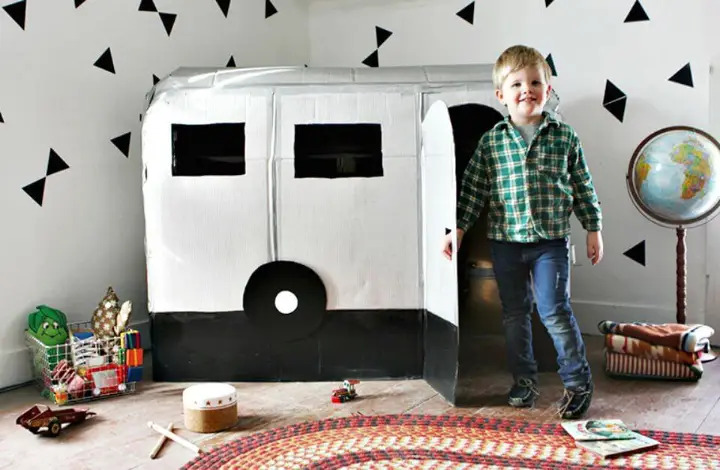 Make also the custom toys houses for the kids using the cardboard boxes that may come with different levels and also make the kids playhouses on the block that will captivate the eyes! 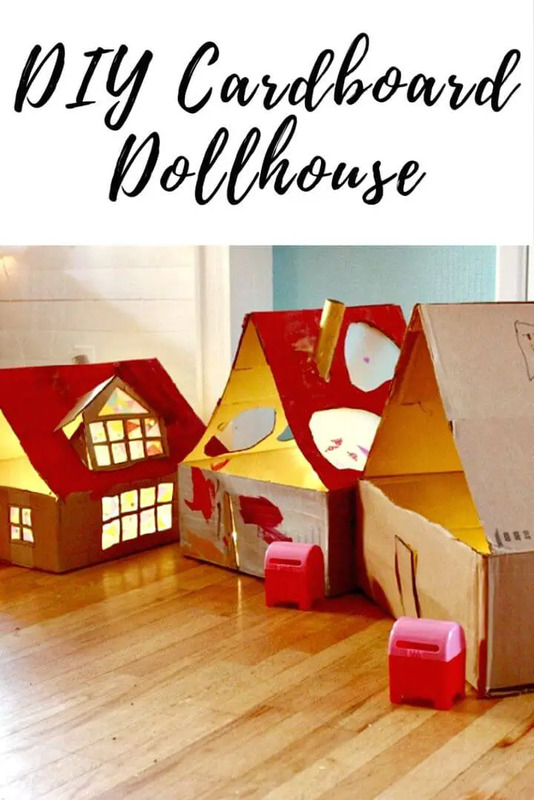 Next, you also make the amazing lighted dollhouses out of recycled cardboard boxes that will make a great gift for the little girls! 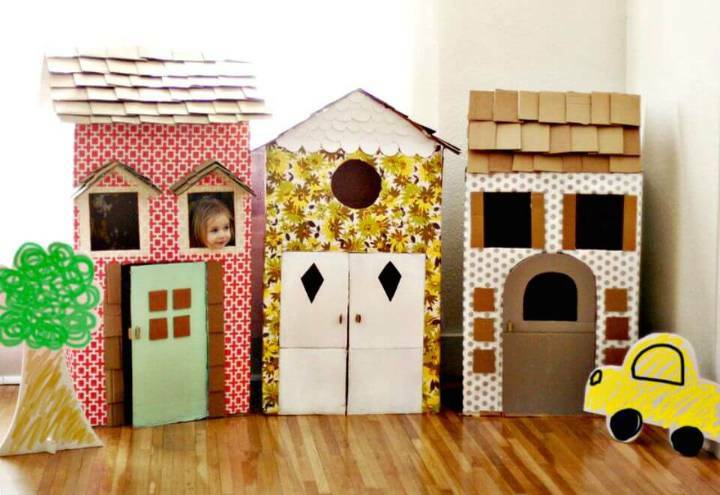 Browse the entire collection of these cardboard houses ideas and see what design amazes you the most! 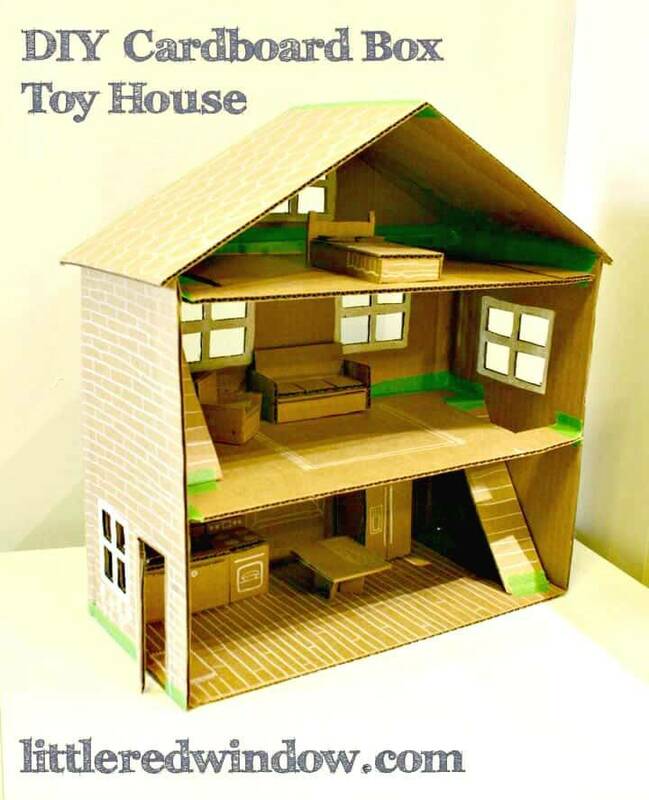 Duplicate your favorite design by browsing the attached link where you will find the full free guides, free plans and full tutorial for your respective project!